The Riu Palace in Negril, Jamaica has re-opened after an extensive renovation. A long-time Jamaica favourite has given an extensive facelift. 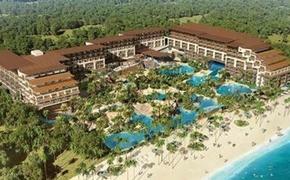 RIU Hotels & Resorts presents the fully refurbished Riu Palace Tropical Bay, in Negril, following a major renovation. 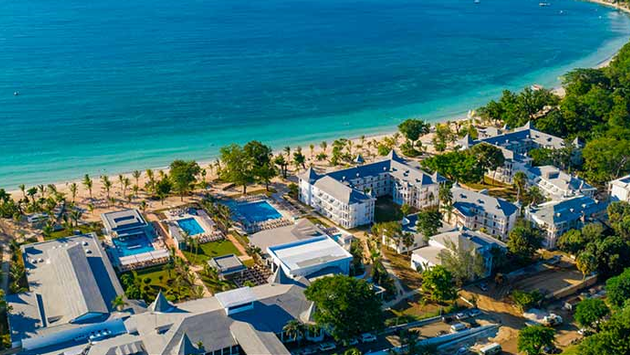 What was the chain’s first hotel in Jamaica when it opened in 2001 now offers completely updated facilities, which maintain the Riu Palace range’s characteristic elegance and sophistication and the RIU chain’s exclusive 24-hour all-inclusive service. The bond between RIU Hotels and Jamaica was forged in the late 1990s, when the chain became interested in this destination as a result of its representatives’ first visits to the island. The company’s instinct for embarking on new developments led it to commit to investing in Jamaica before any other European operators believed in it as a destination. RIU could see the island’s enormous potential, which lies in its natural beauty and its beaches, but above all in its culture and the charisma of its people. Since Riu Tropical Bay opened 17 years ago RIU’s commitment to the island has not flagged, and Jamaica is now one of its main destinations in the Caribbean, with six hotels, 3,152 rooms, 2,779 members of staff, more than 330,000 guests per year and a total investment of more than $550 million USD, which includes the $35-million investment in the renovation of Riu Palace Tropical Bay. Riu Palace Tropical Bay now has 452 rooms, with a new style that combines the classic sophistication of the Riu Palace range with furniture with clean lines and pale hues, and blue and turquoise accents. In addition, all the bathtubs have been replaced with large walk-in style showers. Another new feature of the hotel is the inclusion of the RiuLand kids’ club in the children’s area, designed to make sure the littlest members of the family enjoy their holiday to the maximum too. This area features a children’s pool, which is bigger than the previous one, and a playground. The hotel also has three large outdoor pools, one of which has a swim-up bar, as well as a fully-equipped and refurbished gym and a renovated spa zone. Restaurants, too, have been refurbished with a contemporary design that harmonises with the other areas. The main restaurant, “Negril,”, will continue to offer varied buffets and live cooking; the finest fusion cooking dishes will be served in “Krystal,” “Rimini” will prepare a broad buffet of Italian specialities; the best of Japanese cuisine will be available from “Hakuchi,” and the poolside restaurant will serve the classic RIU Steakhouse dishes for dinner, a favourite among guests. The RIU Group has an ambitious expansion plan for the next five years, with a strong commitment to new destinations, especially in Asia, and large global cities where it plans to open Riu Plaza urban hotels. The hotel chain, which goes back more than 65 years, is characterised by its strong commitment to the destinations where it settles, investing in long-term projects that involve the local community through its purchasing, employment and sustainability policies. RIU is also making a big investment in the development and improvement of an increasingly sustainable operation, and all of its projects are guided by respect for the environments and the local culture and environment.